Founded in 1979, Dinan® is well established as North America’s premier BMW tuner. Dinan develops, manufactures and markets a comprehensive line of high performance products and systems, distributed through a nationwide network of Authorized Dinan Performance Centers. 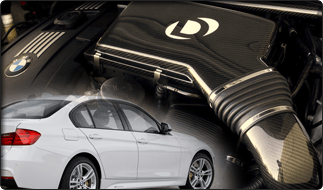 As an Official DINAN Authorized Installation and Service Center, Car Tender exists as a preeminent facility for you the Enthusiastic BMW Driver - to optimize the basic sporting concepts of your BMW to an even higher level. Please contact us so we can discuss your particular performance enhancement needs. We look forward to assisting you with your Dream BMW project!